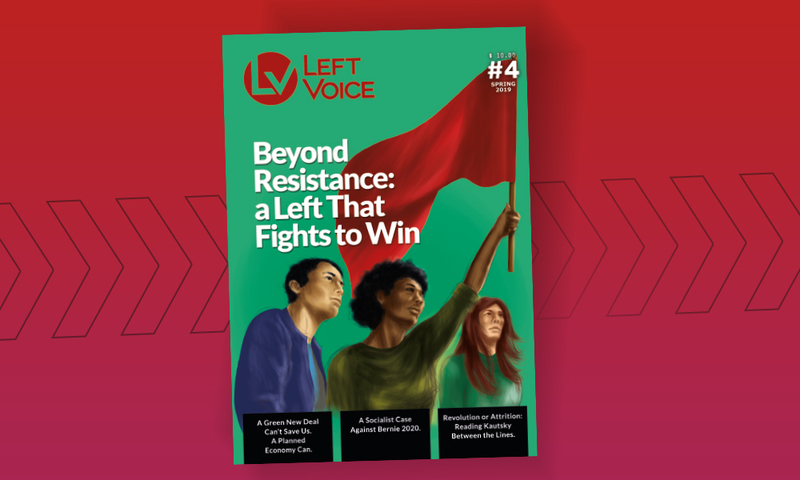 In an interview with Left Voice, Francisco J. Fortuño Bernier describes on-the-ground organizing and conditions in Puerto Rico, considering the political implications of disaster capitalism’s greed, U.S. imperialist neglect, and the devastation wrought by two destructive hurricanes. San Juan’s mayor calls the current state of the island a “humanitarian crisis”. Can you give context to this characterization- what is happening on the ground in Puerto Rico? 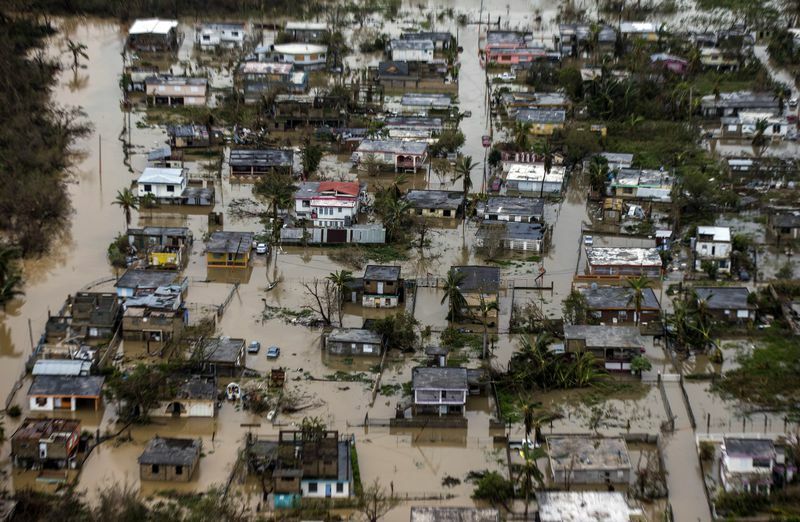 The fact that the only way to get the attention of the United States population, at all levels and across all political creeds, seems to be to present it with pictures of abject and pathetic suffering in the same breath as one informs it that Puerto Ricans are US citizens, is highly embarrassing and humiliating. It says a lot about the capacity for human empathy in the contemporary United States. Why exactly are our lives supposed to be valuable? It seems we are required to pass some sort of test of loyalty and Americaness before we get noticed, let alone helped. The situation is dire. I am not in Puerto Rico, but from what I gather from news reports and hearing from comrades, friends, and family on the ground, the conditions are, at least in some parts, those of a humanitarian crisis plus a collapse of the state. Responding to criticisms, Alejandro de la Campa, FEMA director for the Caribbean, was cited yesterday (Thursday, 9/26) saying that “if we have failed in something it is in not publishing, in not taking photos [of the aid and rescue missions].” In contrast to this ludicrous inability to assume responsibility, in the immediate aftermath and to this day, the most effective response has been self-organized community and neighborhood solidarity. The immense majority of the population lacks running water and electricity. Even in the capital, impossibly long lines to get fuel, water, or food, grow increasingly longer while the port of San Juan overflows with goods, warehoused because the government deems it the purview of the private sector to distribute them as if the market economy was fully functional. The supplies that are made available are through purchase and rationing. 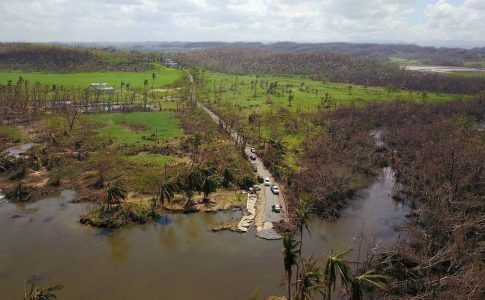 Most donations and aid collected by Puerto Rican communities in the US have not even arrived yet, let alone been distributed, because priority has been given to federal shipments and previously scheduled commercial goods. Meanwhile the government downplays the crisis by withholding an accurate count of the dead as a consequence of the hurricane. According to the independent Centro de Periodismo Investigativo, the number is almost certainly much higher than the official figure of 16 or 19. Outside of San Juan, it is even harder to know what is happening, as communications are still hard even for government officials. The information that comes through is harrowing. In many parts there’s a complete lack of food and water. Thousands of families have lost their homes. In the central mountains, as well as in some very poor communities elsewhere, there are many areas impassable and completely disconnected, reachable only by air or water. To what extent the government has been able to get to them is hard to know, despite their keen interest in photo-ops. The governor of Puerto Rico, Ricardo Rosselló, is evidently lying in an attempt at covering up the ineptitude of his response and the insufficiency of relying exclusively on US emergency operations. Until yesterday, the Island’s very high sales tax was being charged on shipments of donations that have made it through, leaving them stranded until payment was received. By its own admission, FEMA started operations three days after the hurricane. And differently from other recent major hurricanes, it did not bring in emergency supplies or personnel before the event. Since, emergency responders have performed rescues and begun to distribute aid, but beyond the most pressing matters, the response seems to be constantly mired in bureaucratic nonsense. Yet even as US media highlights the Trump administration’s slow response, the government of PR lavishes the President with praise and thanks. Is it a surprise that if cutbacks and the prioritization of debt over people rendered the government ineffective in normal times, it would lead to ineptitude and collapse when it dealt with the worst crisis any Puerto Rican government has ever faced? More than a week has passed since María struck and things have barely moved. Yet if one were to listen to Rosselló, things are almost fine. There’s just some “logistical” quirks to be tweaked and some “assessments” that have to be completed before solutions can be implemented. In the meantime, “keep calm.” These have become the euphemisms that hide the stark reality: the natural catastrophe has been compounded by bureaucratic ineptitude and neoliberal thinking. It will soon be complicated by what is sold by many as the only solution: establishment of a long-term military command over response to the hurricane. On Wednesday, September 27, the military began to assume the direction of the emergency, yet a militarized response may prove only a facsimile of the effectiveness the people need, its allure a phantasm of propaganda. In addition to these blunders in emergency response, the government placed an incoherent curfew that, until yesterday, prevented fuel and supply deliveries at night, as truck drivers were among those prohibited from going outside after 7pm. What does the U.S. response to Hurricane Irma and Maria’s impact on Puerto Rico reveal about the relationship between the U.S. and Puerto Rico in 2017? Puerto Rico is a colony of the United States. We knew that before María or Irma. What the government of Puerto Rico seems to be bent on is to use this opportunity to confirm that, in its own mind, it is little more than a puppet and appendix of the U.S. federal state. The federal government, in turn, has proven that Puerto Rico barely figures in the everyday consciousness of U.S. elites. 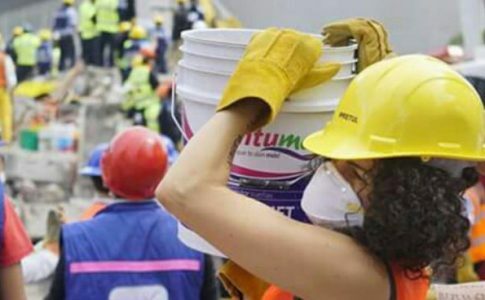 Even being hit by one of the strongest storms ever to impact any inhabited place on the planet only made leaders and the media aware of us after almost a week of suffering. The federal government is not the only one at fault here: U.S. society is complicit if it continues its willful ignorance (polls show most Americans don’t even know Puerto Ricans are U.S. citizens). Puerto Rico is not in a position to reject aid from anyone, but because of colonialism it’s also in no position to accept it from anyone. 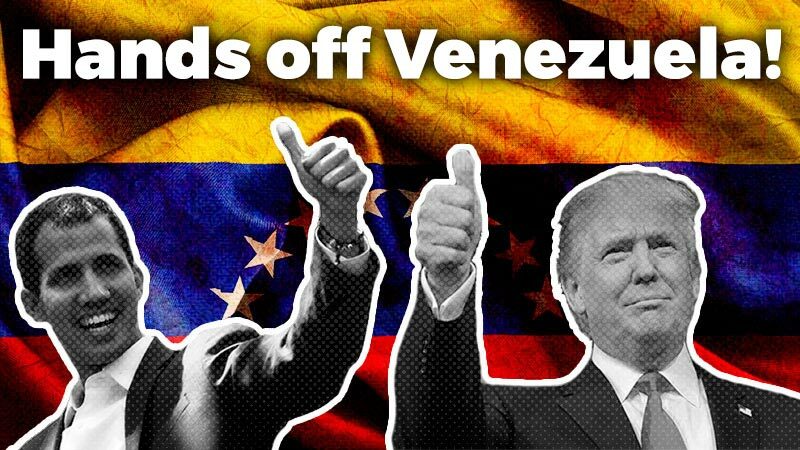 Cuba and Venezuela have offered help, but it will surely be blocked by the United States. It even took a week for the cabotage rules of the Jones Act to be waived temporarily. Long before the hurricanes, the nominal autonomy of the Commonwealth of Puerto Rico had already been dismantled by the assumption of power by the Junta de Control Fiscal, which has deepened the dismantling of the state’s capacities through austerity: is it a surprise that if cutbacks and the prioritization of debt over people rendered the government ineffective in normal times, it would lead to ineptitude and collapse when it dealt with the worst crisis any Puerto Rican government has ever faced? 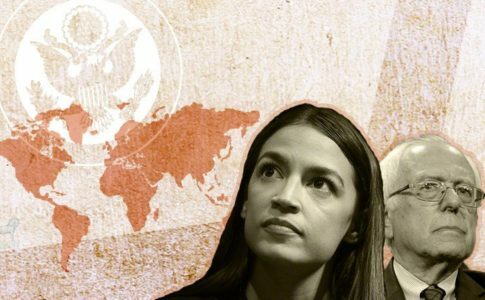 Part of the current government’s ineptitude, run by the uncritically pro-American and mind-boggingly corrupt Partido Nuevo Progresista, seems to stem from the fact that they are constitutively unable to take the initiative on anything and are ideologically predisposed to take a back seat to the Americans and favor the “free” market. In times of crisis, a political entity that cannot act decisively might as well not exist. For a week the central government has basically confirmed it is a non-entity in terms of actual political power. Puerto Rico’s situation vis a vis the United States is complex and has a long history, but a word of caution to U.S.-based observers is necessary: the ignorance about the social and political conditions of Puerto Rico is not just a feature of the conservative racists. Many liberals and even some leftists continue to operate on an erroneous notion of the status of Puerto Ricans: objectively, they act as if the best thing that ever happened to us is being invaded by the U.S. It is as if for them the mark of our worth is our U.S. citizenship. Being a “part” of the U.S. has been a fleeting blessing and a blatant curse. The notion that our problems stem from being denied entry as a state into the union is an ideological fiction that can only be sustained by looking at Puerto Rico through an imperial gaze. Commentators will fail to understand our situation if they do not take into account that Puerto Ricans, including the diaspora, constitute a separate nation, if not an independent sovereign state. We may be stamped with Social Security numbers and imperial citizenship at birth, but that does not mean that we are “Americans” in the sense that Donald Trump or Hillary Clinton use that word. This is not to say that I want to imply a rejection of the need for equal treatment for us: it would be nonsensical to decry colonialism by defending the second-class nature of our citizenship. In short, colonialism itself restricts us to the “gracious” aid and relief exclusively provided by the U.S., making us not only second-class U.S. citizens, but second-class world citizens, dependent upon the world’s superpower for everything. Some take this manufactured dependence, stark as it is at the present moment, as evidence for the impossibility of Puerto Rico’s autonomous existence. Should we be grateful for being so enchained? Trump made recent tweets and statements on Puerto Rico, several days after hurricane devastation hit the island. He lamented its decaying infrastructure and debt owed to Wall Street. What is your response to Trump’s statements? How is Puerto Rico’s economy and infrastructure tied to the U.S? Trump’s comments on the debt are worrying if we take into account that this catastrophe can only underscore the Puerto Rican people’s absolute inability to foot the bill for the debt. On top of that, according to Moody’s Analytics the hurricane is estimated to have perhaps made as much as $95 billion in damage to the economy, almost a year’s worth of gross domestic product. What the hurricane has done is compound the already unfolding crisis exponentially. Despite the uncertainty of when or if many workers will be able to return to their jobs, the government premises the recovery first and foremost on the ability of people to buy everything, ie. on them being paid a salary. If wage workers are not earning anything, if family-owned small businesses were knocked out of commission, how can the people perform their role as market consumers? Therein lies a basic problem with the government’s response to the hurricane: in the narrowness of their neoliberal ideology, they choose to think in terms of getting people buying things again in restaurants, supermarkets, or gas stations, instead of figuring out how to distribute supplies directly and fairly. María’s devastation caused real economic problems that cannot and will not be solved through the market. The past week confirmed this. Absurdly, day after day the governor has had the gall to affirm that there is no problem “except distribution.” But if supplies are not distributed, they might as well be on the Moon. The Port Authority director, Omar Marrero, has defended the lack of distributive efforts on part of the government because the stranded containers people are seeing are not “humanitarian aid,” but commercial commodities, which private enterprise has the “responsibility” of distributing to stores, not the government. From the standpoint of the hungry and thirsty, however, what distinguishes food “commodity” from food “aid”? Nothing, it is only from a full stomach that such capitalistic immorality is possible. I can only imagine the anger felt in Cataño, a hard hit community where a large number of families lost their homes: a place which has a direct line of sight to the ships coming into port and the containers of supplies stranded there. In more general terms, as a colonial-capitalist economy Puerto Rico functions as an underdeveloped appendix of the United States economy from which US-based corporations have historically profited immensely. What is the status of workers’ and student struggles and/or independence movements in Puerto Rico? Could Hurricane Irma, Maria and its devastation, along with contentious aid from the U.S. possibly fuel these movements? The immediate impact on social struggle is paralysis. The universities and schools will be closed for months. Workers are struggling to survive. It is understandable that in such a situation, movements will be slow to arise. Nevertheless, anger is brewing and coming to the fore. The crisis brought about by the hurricanes and the botched government response will call for new community and social struggles. We still do not know what obstacles people will face in the long term, but immediately people are already demanding a just and equitable distribution of the aid received, as well as a commonsensical way to end the bureaucratic stalling of recovery. Thankfully, attention is being brought by public pressure to the mess federal agencies and local officials have made of the whole thing. This might hopefully mean that the immediate conditions will improve soon. As I said, we are by design exclusively dependent upon the US economically and politically, which means that to a certain extent, they are responsible for the situation and therefore their response should be not understood as a “gift” to be celebrated but as an obligation to the Commonwealth. We also have a right to demand that such a response conform with democratic and human rights principles. Being a “part” of the U.S. has been a fleeting blessing and a blatant curse. The notion that our problems stem from being denied entry as a state into the union is an ideological fiction that can only be sustained by looking at Puerto Rico through an imperial gaze. In the medium term, struggles will arise over the restitution and guaranteeing of essential human rights such as water, electricity, healthcare, and housing, especially in historically marginalized communities such as Loíza and in the countryside. A push to make exemption from the Jones Act permanent would be another rational response in this context. 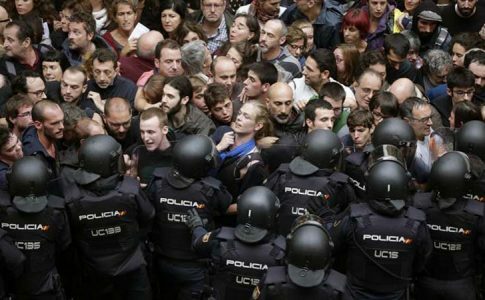 A redoubling of efforts against austerity and for self-determination is imperative. Are there any other political, economic and/or social ramifications you predict will come out of the hurricane’s devastation and lagging response/aid from the U.S.? It is still too early to tell what the outcome of all of this will be, let alone make predictions. But an outline begins to be possible. The current level of the US government’s direct involvement in Puerto Rico’s internal everyday affairs has not been seen since the 1940s. What this will mean concretely is yet to be seen. But it could imply a shift in contestation from demands upon the Puerto Rican government to demands on the federal apparatus, highlighting the coloniality of our relation to the U.S. The current situation is also already having an effect on the bankruptcy-like proceedings underway, which have been temporarily postponed. Predatory investors already attempted to extort concessions from the Commonwealth in exchange for a new loan, that was rejected. The debt is the altar upon which the wellbeing of a majority of the people of Puerto Rico is being sacrificed to guarantee profits and privileges for some. Will the catastrophe change anything on that front or will it be just another “opportunity” for disaster capitalism to profit? Finally, increased militarization, which many from Senator Marco Rubio to liberal Puerto Rican politicians have insisted on, may bring its own negative consequences, which will come into focus once the smoke clears. Francisco Fortuñp Bernier is a Political Theory PhD student at the CUNY Graduate Center from San Juan, Puerto Rico. He is a member of the socialist and pro-independence Puerto Rican political organization Movimiento Socialista de Trabajadores.